Growing up in a small East Texas town may not seem like the ideal place to learn about financial planning, but it certainly instilled in me the value of a hard-earned dollar. I do not come from a wealthy family, but I was raised by loving parents who instilled within me the importance of working hard for what you wanted, earning your pay and the value of then saving some of that money. I saved part of every dollar I earned, whether those funds were from the ‘tooth fairy’ or from completing chores around our home. Learning how to both save what I earned, and when to properly spend those savings, ultimately drove my desire to become a financial planner. Franklin D. Roosevelt said, “Happiness is not in the mere possession of money; it lies in the joy of achievement, in the thrill of creative effort.” Through the years I have taken that quote to heart, and using “creative efforts”, I have shared with others my tips for pursuing personal financial goals. Witnessing friends and family members radiate with happiness after successfully reaching their own goals drives me to continually grow and develop within the financial planning field. I am ecstatic that I get to help people, every single day, pursue goals that they never thought were possible. My ultimate goal is to educate people about financial literacy, show them how important it is to understand what is going on financially in their lives, and to do so with a level of passion and enthusiasm that is unmatched. 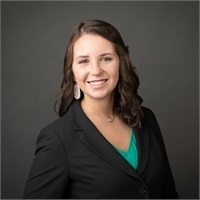 Victoria holds a Bachelor degree in Personal Financial Planning from Texas Tech University, where she graduated from in December 2017. She is currently in the process of completing the Certified Financial Planner designation. Victoria resides in Lewisville, Texas. She enjoys spending time with her family, going to Dallas Mavericks and Texas Rangers games and hanging out with her friends. Her hobbies include reading, working out and spending time with her dog.